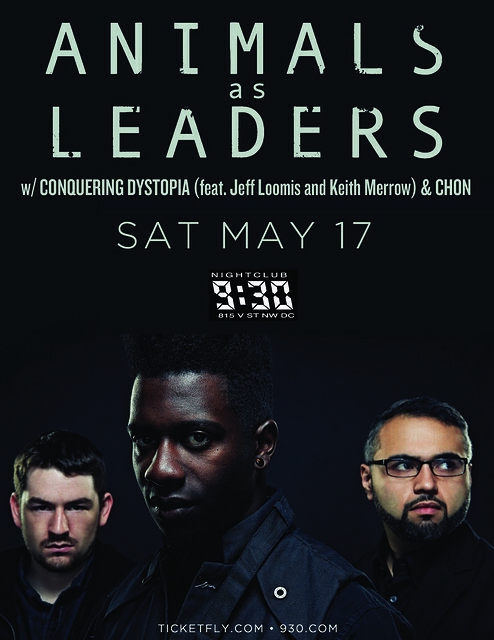 Instrumental progressive band Animals As Leaders are headlining the 9:30 Club on Saturday, May 17th. This is a show will be an instrumental music fan’s dream come true as none of the three bands playing have a vocalist. I love instrumental bands and to help get you into them too we’re going to give away a free pair of tickets to this show. To enter: leave a comment on this post telling me what your favorite instrumental song is. 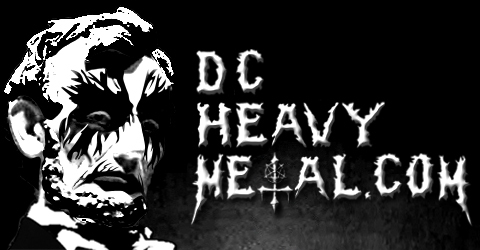 From Metallica’s Orion to Watain’s Lawless Darkness to Animals As Leaders’ own CAFO, any instrumental song will count as long as you love it! At 5pm EST this Friday, May 2nd, a winner will be chosen at random (using Random.org) from all valid entries to receive two tickets to the show! Be sure to use a valid email you check regularly so I can contact you if you win. Don’t worry, I won’t add you to any spam lists or sell your info or anything sleazy like that. If I haven’t heard back from the winner in 24 hours another winner will be chosen at random. If you can’t wait to see if you win, or the contest is already over when you read this, then you can get tickets from right now for $20 from Ticket Fly here. Animals As Leaders members Tosin Abasi and Javier Reyes were both from the DC area originally before relocating to California to form Animals As Leaders. Their incredible musicianship and technical prowess has earned them fans all over the world though you can bet this show will feel something like a home town show of sorts. Also playing is Conquering Dystopia, an instrumental band featuring guitar wiz Keith Merrow and Jeff Loomis (ex-Nevermore) on guitars, Alex Webster of Cannibal Corpse on bass and Alex Rüdinger, drummer for The Faceless. This band has quite the pedigree but their self titled debut album shows that they not only live up to expectations, but exceed them with a level of technicality and aggression few can match. The opening act is Chon, a progressive instrumental band from San Diego. All three of these bands can really play and this show is on a Saturday night so you don’t have the school-night excuse for missing this one. Now check out these killer tunes by the bands playing and tell me what your favorite instrumental song is!